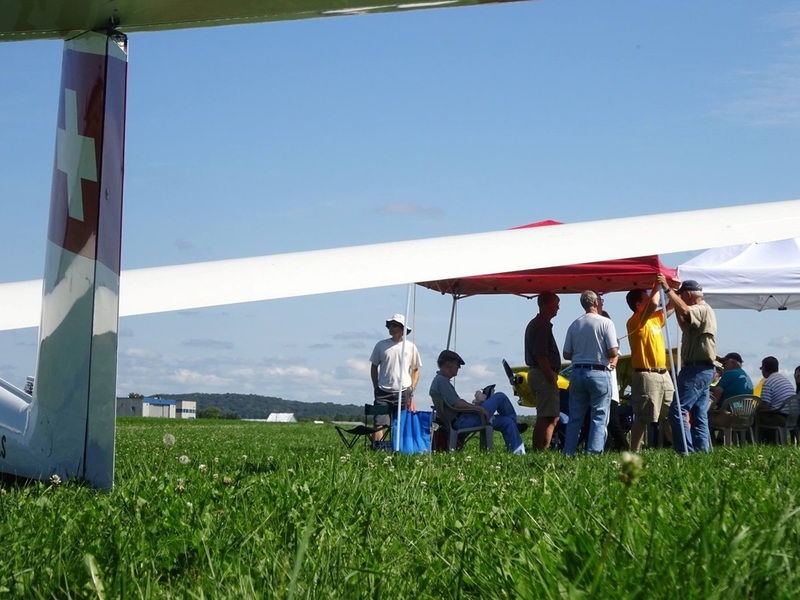 The Red Wing Soaring Association (RWSA) currently consists of approximately 20-30 active members that share their passion for soaring. Prospective members do not need any prior aviation experience to join. We have FAA Certified Flight Instructors available and will provide all the necessary instruction to help members achieve FAA Private, Commercial or Flight Instructor glider ratings. New members join the club with a non refundable onetime ‘Membership Purchase’ similar to a membership fee when joining a health club. RWSA is a chapter member of the Soaring Society of America. The Soaring season is weather dependent and typically runs April thru November. A calendar is available which contains information on all flight and member activities throughout the year. RWSA Board Meetings are held on the third Wednesday of the month and all members are encouraged to attend. Board member elections are held each year during November. Our Fiscal year starts November 1st thru October 31st. The season begins with a safety meeting which is usually held in March. Member attendance is mandatory. All members share various duties such as Field Operations Officer (FOO) duties which are rotated between members. Each member participates as FOO 3-4 days per year. An associate membership is available for tow pilots. There is a members clubhouse on the field which includes a computer with Internet access, television, Condor flight simulator, full kitchen, and lounge. BBQ equipment is also available for use. Member Purchase: This is a one-time fee to join the club. Funds are used to fund aircraft and equipment. Annual dues: Payable prior to soaring season (April). Used to pay fixed expenses such as insurance, SSA dues, hangar lease. Flight costs: Payable same day of flight. Include tow fee based on altitude of tow and aircraft rental based on time. Instruction fees: These are negotiated with and payable directly to the instructors. Individual members are expected to do their share of the work; e.g. assembling the gliders at the beginning of the season, disassembling them at the end of the season, maintaining the hangar area, and acting as a Field Operations Officer a few times each year. These duties are light and no members are expected to do it all. Family membership is available to members of the family of an Active member. Any person added to a family membership must be approved by the Board each year. Family members have all the same privileges and responsibilities of an Individual Membership, except that they get only a single vote between them. As with the individual membership family members are expected to do their share of the work to help support the club. An additional $50 per year (annual dues) is the only cost associated with the family membership. As an active member, you will have access to fly all aircraft you have been endorsed to fly by RWSA instructors. Active members also are entitled to one vote at club meetings. Active membership in RWSA also enrolls you as a member of the Soaring Society of America (SSA). One of the many benefits of the SSA is a subscription to the monthly national ‘Soaring’ magazine. Membership in the SSA is mandatory for insurance purposes. Inactive members are encouraged to participate in club activities however are not allowed fly RWSA aircraft as Pilot In Command (PIC). Inactive members retain their voting privileges. Inactive members are required to pay ‘Inactive Member Annual Dues’ . Inactive members in RWSA are also enrolled as a member of the Soaring Society of America (SSA). One of the many benefits of the SSA is a subscription to the monthly national ‘Soaring’ magazine. Membership in the SSA is mandatory for insurance purposes. ** Annual dues will be prorated when joining mid season.